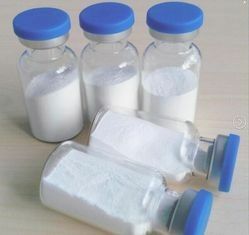 Packing: plastic vial(dedicated for peptide packing) or glass vial, quantity according to customer's detail requirement. Storage:a cool(2~8 ºC) dry place protected from light, keep package close when not in use. 1 Treating unstable angina (chest pain) or certain types of heart attacks. It may also be used to treat patients undergoing a certain type of procedure (percutaneous coronary intervention [PCI]). It may also be used to treat certain conditions as determined by your doctor that may not be listed in the professional package insert. Eptifibatide is a platelet aggregation inhibitor. It works by preventing blood platelets from sticking together and forming blood clots. 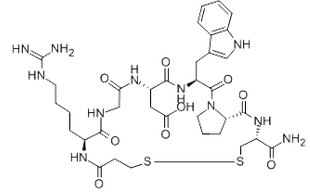 2 Eptifibatide is a cyclic heptapeptide containing 6 amino acids and 1 mercaptopropionyl (des-amino cysteinyl) residue. An interchain disulfide bridge is formed between the cysteine amide and the mercaptopropionyl moieties. Chemically it is N6-(aminoiminomethyl)-N2-(3-mercapto-1-oxopropyl)-Llysylglycyl-L-α-aspartyl-L-tryptophyl-L-prolyl-L-cysteinamide, cyclic (1→6)-disulfide. Eptifibatide binds to the platelet receptor glycoprotein (GP) IIb/IIIa of human platelets and inhibits platelet aggregation.